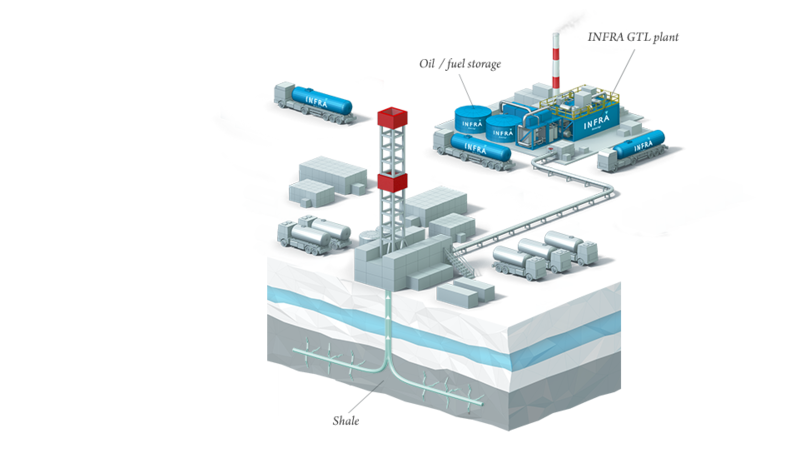 INFRA.xtl technology improves shale gas economics by converting gas into value-added synthetic crude at the source, offsetting high gas production cost and eliminating need for gas transportation. 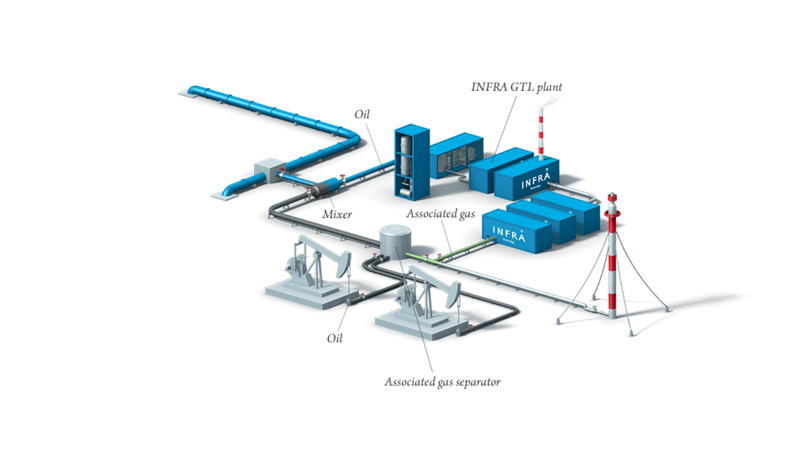 INFRA.xtl technology can be applied to monetisation of stranded gas by producing value-added liquid motor fuels, or synthetic crude, on site and transporting to market via existing oil infrastructure. 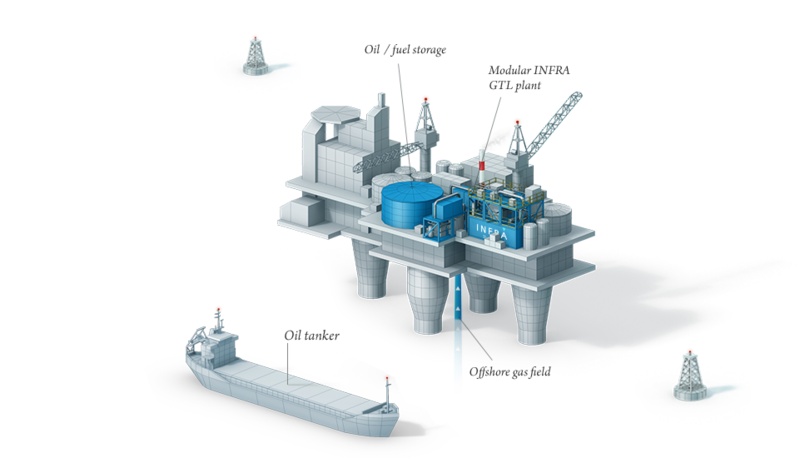 INFRA.xtl technology can be applied to monetisation of offshore gas fields by producing, at compact GTL plants on the platforms, value-added liquid motor fuels, or syncrude, transported by oil tankers. 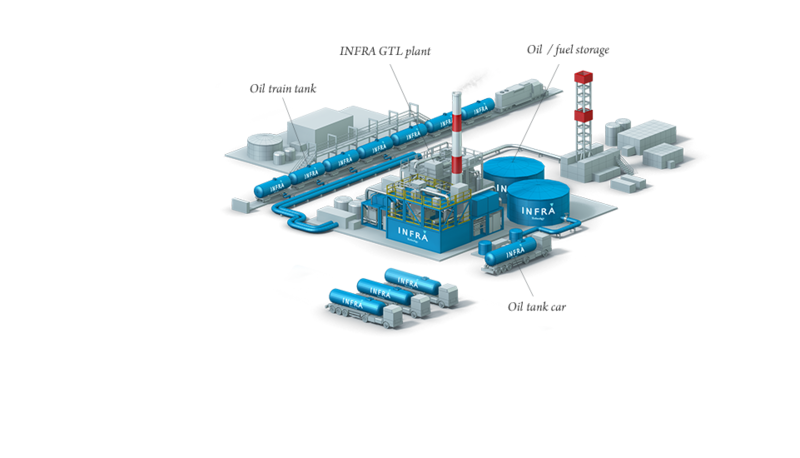 INFRA.xtl technology allows for profitable conversion of associated gas into synthetic crude at low-cost and compact GTL plants, further mixing it with mineral crude into existing oil infrastructure. 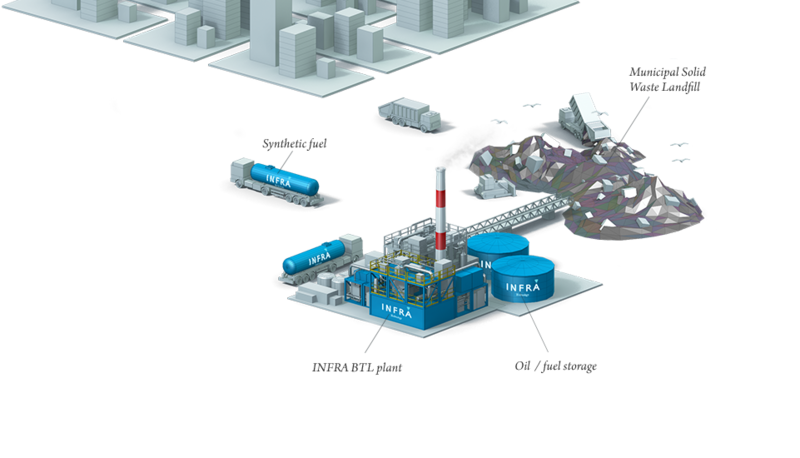 INFRA.xtl technology would be a useful add-on to the processing of bio-resources and offer a commercially viable Fischer-Tropsch process for producing clean synthetic fuels. 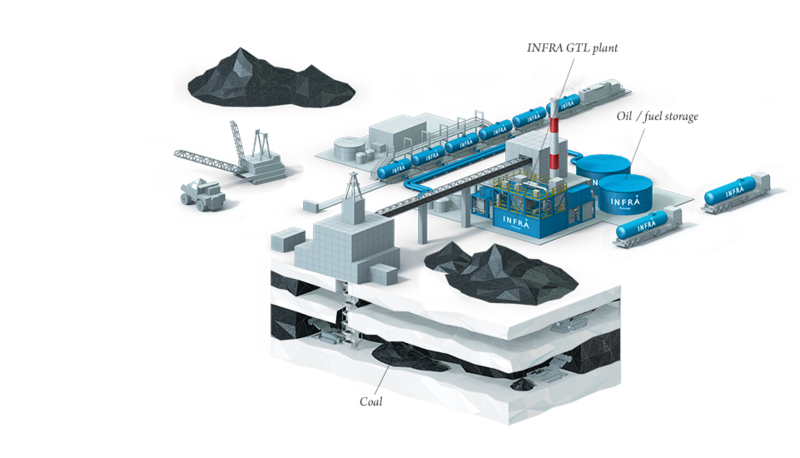 INFRA.xtl technology’s lower capital and operating costs make conversion of coal into liquid fuels in conjunction with any gasification technology economically viable, providing a new energy source.